I knew the second I saw these little faux-suede tassels EXACTLY what I wanted to make with them. Don’t you just love when a project assembles itself in your brain like that? I sure do!! Usually I have to put a little more thought and effort into coming up with a project. If you’ve been around here before, then you probably know know I have a fabric “issue”… as in TONS of fabric and scraps. 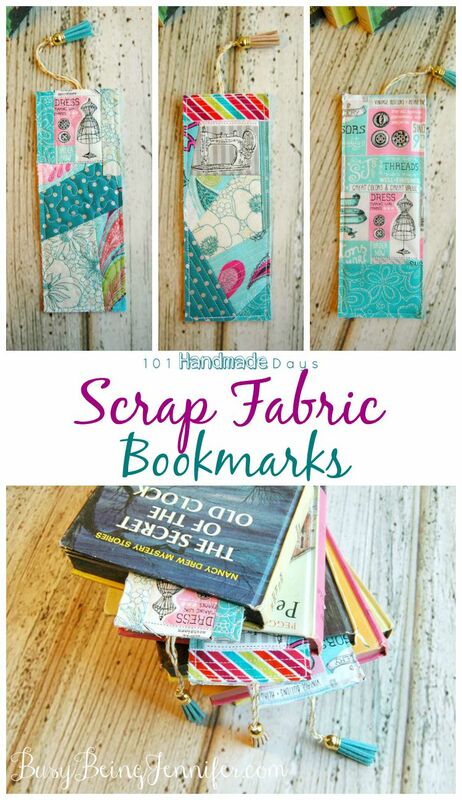 I love a good scrap busting project and these scrap fabric bookmarks are a Great One! Step two: Cut your batting. You’ll need a 3 inch wide by 7.5 inch long rectangle. Step three: Using the batting as the base, add your scrap pieces using the quilt-as-you-go method (See this post). This will be the top layer of your bookmark. Trim the top layer to 2.5 x 7 inches. Step four: Cut a length of twine or ribbon and thread it through a mini tassel. Cut a strip of fabric for the back of your book mark, roughly 3 x 7.5 in size. Step five: Take the top layer and the back piece and place them wrong sides together, so that the “pretty” side is sowing on both the back and the front. Match the top edge of the back and front pieces. Take your tassel and twine/ribbon and tuck the ends in so the tassel is hanging on the outside. Step six: Top stitch around the bookmark at least twice. Trim off the access backing fabric. I read a lot, and usually more than one physical book at a time, not to mention at least 2 on my kindle. 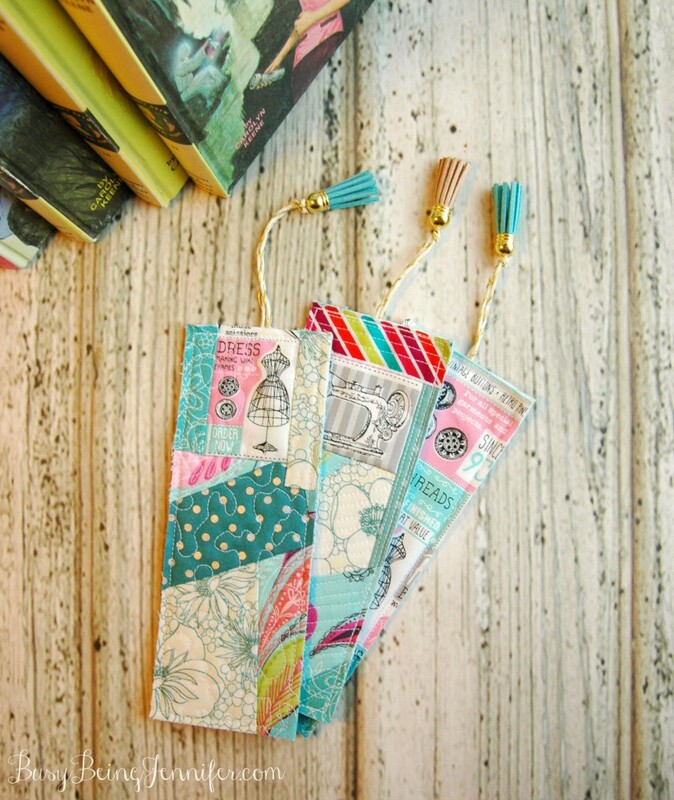 So I might have gonna a little scrap fabric bookmarks making happy! They’re just too cute! 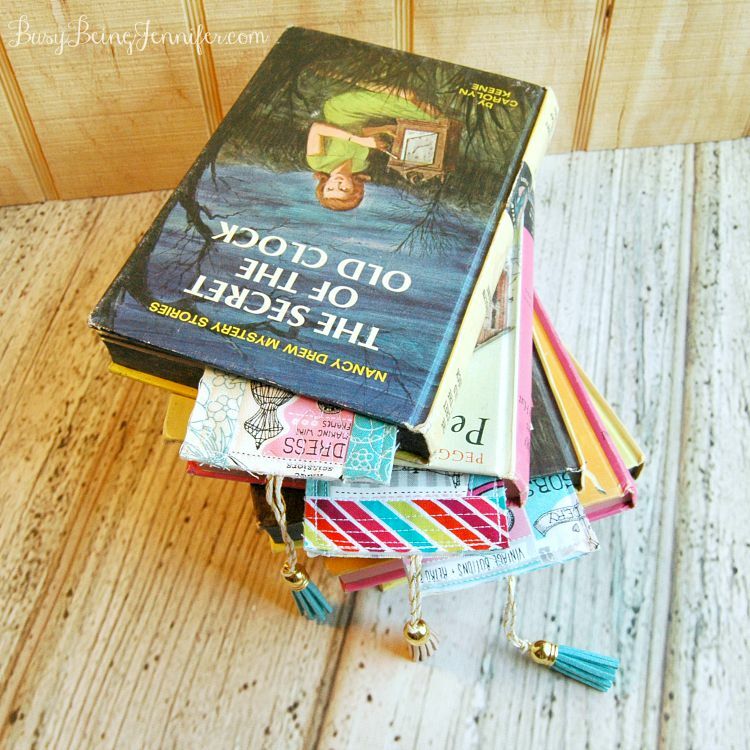 Time to use up some more of those Fabric Scraps with this Scrap Fabric Bookmark Tutorial! They’re lovely. I love their colors and patterns. This is a REALLY good beginner project! There’s no turning the fabric and you can straight stitch everything! Hmm, I’m thinking I need to make a bunch for gifts! Where did the tassels come from? Cynthia I found them on an end cap at Hobby Lobby! I need to see if they’re available to order online cause I need ALL THE COLORS! I found them after much searching at Hobby Lobby… in the paper crafting section. I think they are the same ones anyway! I’m getting ready to make some and notice your outside edges are raw? These are so cute! I am in love with them. My daughter and I are both big time book worms so she would love something like this as a gift. These are fantastic! I’ve never tried quilting anything, I have a lot of scraps I’m going to have to try this with. These would make perfect stocking stuffers for readers (or those you’d like to get reading)! These are so cool. I work at a book publishing house, so these would be so fun to use around the office! I love that you’re taking the tassel trend in directions other than on clothing and jewelry. I love this project! So cute and it’s always good to find another idea for the endless supply of fabric scraps I seem to have. I know lots of people who still like a “real” book rather than an ereader (me included) so these would make lovely gifts. Very nice! What a great gift for an avid reader:). Awesome post! I would love to invite you to my new link party The Beautifully Creative Inspired. The party launched today and will continue every Fridays at 9AM eastern time on 5 BLOGS! It runs until Wednesday night 😀 Hope you can party with us! Hi. Just thought I would let you know your book marks were my pick to be featured at out party this week! Thanks for sharing! These are beautiful. I used to sew almost everyday when I was younger, I my have to dust off my sewing machine and make these for the upcoming hoilday season as gifts. These are so cute! I need to use up those fabric scraps and make some because these would be perfect stocking stuffers for Christmas. I know more and more people are switching to e-readers, but I really do prefer an actual book–with a cover and pages. 😉 These are so cute! I’d love for you to share this at our weekly link party! 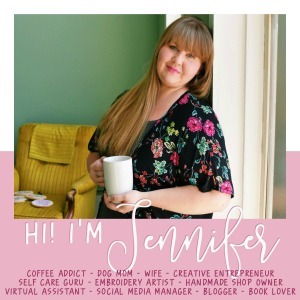 http://www.thelifeofjenniferdawn.com/2016/05/fun-birthday-party-ideas-little-bird.html Hope to see you there! These are just darling, Jennifer! Wouldn’t these be great teacher gifts! Thanks for sharing with us at Throwback Thursday! What a cute idea, and I have more scrap fabric than I have been able to use. I want to try this!